Q. By enrolling in Army ROTC, are you joining the Army? A. No. Students who enroll in Army ROTC don't join the Army. They take an Army ROTC class for which they receive college credit. It's considered a college elective. Q. Is ROTC like "boot camp?" A. No. Army ROTC cadets go directly to college where they earn their degree. They are students first, cadets second. Q. What can students expect to learn by taking ROTC? A. Quite simply, leadership and management skills needed to become a U.S. Army officer or have a successful civilian career. Q. What makes ROTC different from regular college management courses? A. Students in ROTC learn through a unique program that involves both classroom and "live" situations. For instance, an ROTC cadet might be found leading classmates through adventure training, down a river in a raft, or up a mountain wall. Q. Is there a military obligation during college? A. During the first two years, ROTC cadets have no military obligation. By the end of your sophomore year and before the beginning of your junior year is when you need to make the decision as to whether becoming an Army Officer is right for you. Q. What is the ROTC course comprised of? A. The ROTC program is divided into phases: The Basic Course studies Army history, organization and structure. The techniques and principles of leadership and management are stressed throughout. 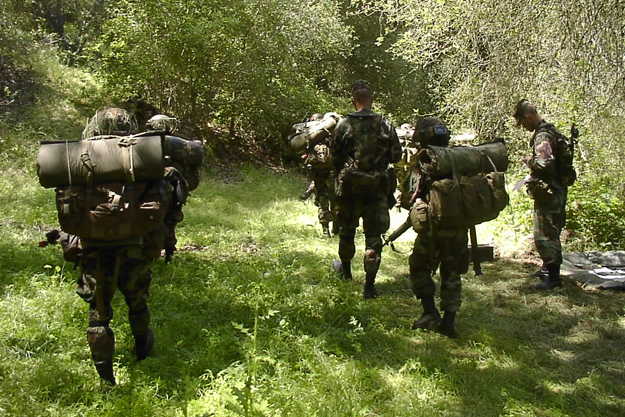 The Advanced Course concentrates on tactical operations and military instruction, as well as advanced techniques of management, leadership, and command. Q. Does ROTC offer scholarships? A. Yes. SDSU Army ROTC awards them to students pursuing a major in any degree field and to those students enrolled in one of our partner schools. No specific majors are required. For a list of the SDSU partnership schools please contact the Army ROTC department. Q. How much money does ROTC usually award and what does the money go towards? A. Scholarships are awarded at different monetary levels. Scholarships cover unlimited tuition and student fees as well as $10,000 a year in room and board. However, scholarships only cover either tuition or room and board, not both. University of San Diego is the only partnership school that covers BOTH tuition and room and board. Additionally, scholarship awardees receive money for books, as well as a monthly stipend. Q. On what basis are scholarship winners chosen? A. ROTC scholarships are not based on financial need. Instead, they're awarded on merit. You must a meet a myriad of qualifications based on physical fitness, academics, GPA, and extracurricular activities. The Army is looking for the next generation of well rounded Officers and considers numerous factors when selecting winners. Q. Can only scholarship winners enroll in ROTC? A. No. Anyone can enroll in ROTC and regardless of whether you're a scholarship winner or not, all ROTC books, supplies and equipment are furnished at no cost to you. Q. How often are ROTC scholarships awarded? A. Scholarships are awarded throughout the year to qualified students. High School students generally receive their scholarship during their senior year. Green to Gold Scholarships are awarded twice a year. Nursing, SMP, TSTAP, and college based 2-, 3-, and 4-year scholarships are awarded continuously throughout the school year and summer to qualified cadets. Q. How do students benefit from ROTC? A. In college and after graduation, cadets find that the training and experience they’ve received are assets - whether pursuing an Army or civilian career. Employers place high regard on the management and leadership skills that ROTC instructors stress. Plus, ROTC looks great on a resume. When cadets complete the ROTC course, upon graduation, they become commissioned officers in the U.S. Army. Q. How do I apply for a scholarship from ROTC? A. If you would like a campus based scholarship please contact the Recruiting Operations Officer by calling (619) 594-1236 or by email at armyrotc@sdsu.edu. If you are applying for a 4-year national scholarship go to http://www.goarmy.com/rotc/scholarships.jsp. They will be able to answer any questions that you might have and will guide you in the right direction on what steps you need to take to apply for a 2-, 3-, or 4-year scholarship. Q. How do I join SDSU Army ROTC? A. Students at San Diego State, University of San Diego, Point Loma University, California State University San Marcos, National University, University of California San Diego, Alliant University, University of Phoenix, or the local junior colleges can register for Military Science courses and take them at SDSU, USD, or Cal State San Marcos. When you register for classes, register for the appropriate Military Science course along with the Leadership Laboratory. A list of these courses can be found in the course catalog and they are described in further detail on this website's courses page. Q. What extra-curricular opportunities does SDSU Army ROTC offer? A. There are numerous extracurricular activities during the school year such as the Ranger Challenge Team, Ranger Club, Bataan Death March, Intramural Sports, Color Guard, Commanders Cup, and Cadet Socials. Q. What summer training opportunities does ROTC offer? A. During the summer break, cadets can take part in Airborne School, Air Assault School, Mountain Warfare, Northern Warfare, Leadership Training Course, Warrior Forge, Cadet Troop Leadership Training, Critical Language Training, and the Nursing Student Training Program. Q. What are my career field choices in the Army when I commission? A. You can join a variety of career fields to include Aviation, Armor, Adjutant General, Chemical, Infantry, Ordnance, Signal, Quartermaster, Transportation, Medical Service, Military Police, Nursing, Finance, Military Intelligence, Field Artillery, Air Defense Artillery, and the Engineer Corps. You have the option of going active duty Army, Army National Guard, or Army Reserve. Q. I want to apply for a Green-to-Gold scholarship at SDSU. What steps do I need to take? A. The most important thing that you need to do is get accepted into a 4 year Bachelor’s Program at a University with a partnership with SDSU Army ROTC. 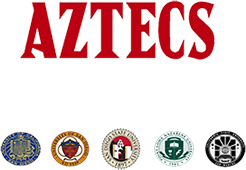 After you are accepted into to one of these universities, you need to inform your chain of command, submit your Green to Gold Packet and contact SDSU Army ROTC. To view pdf files you may need to download Adobe Reader. To view Microsoft Excel documents (xls) you may need to download Excel viewer. To view Microsoft Word documents (doc) you may need to download Word viewer. The statements found on this site are for informational purposes only. While every effort is made to ensure that this information is up-to-date and accurate, official information can be found in the university publications.